This collection of essays is offered with sincere gratitude and admiration to Donald Ostrowski, Instructor in Extension Studies at Harvard University and one of the most important scholars of Ukraine, Russia, and Eurasia in the last half century. This volume takes its name from the famous Latin phrase from Peter Abelard's Sic et Non: Dubitando enim ad inquisitionem venimus; inquirendo veritatem percipimus-"By doubting, we come to question; by questioning, we perceive truth." It is a fitting and succinct description of Ostrowski's long and significant career because it captures what he has always done best: questioning our understanding of the essential primary source materials of Ukrainian, Russian, and Eurasian history; doubting received and traditional historical interpretations; and writing works that have drawn us much closer to the truth about East Slavic history and culture. The essays in the volume have been contributed by Ostrowski's many colleagues and students, and reflect his wide-ranging interests across a vast territorial and chronological space. Essays in this collection represent a variety of disciplinary approaches (history, language and literature, law, diplomacy, philology, and art history) and treat a range of issues as vast as Don's own interests. 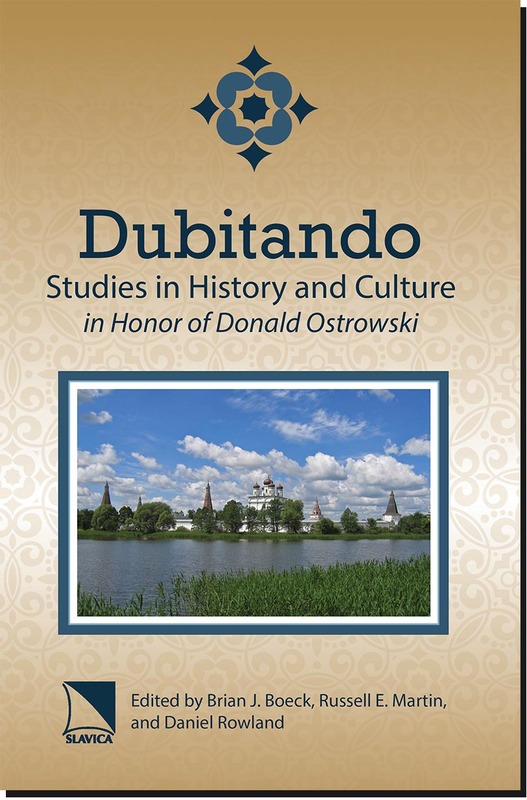 It is a collection that builds upon and sometimes challenges the works of previous historians (including earlier works of Ostrowski himself) by raising doubts and questionssomething Ostrowski has done in his own career and welcomes when he sees it in others.